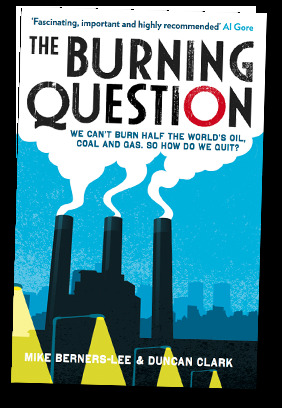 The Burning Question | A book by Mike Berners-Lee and Duncan Clark | We can't burn half the world's oil, coal and gas. So how do we quit? "Fascinating, important and highly recommended"
The Burning Question reveals climate change to be the most fascinating scientific, political and social puzzle in history. It shows that carbon emissions are still accelerating upwards, following an exponential curve that goes back centuries. The solutions we assume will help aren’t working, because saving energy is like squeezing a balloon: reductions in one place lead to increases elsewhere. Even clean energy technologies don’t in themselves slow the rate of fossil fuel extraction. 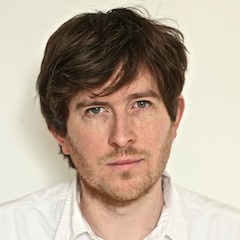 Duncan Clark is a consultant editor at the Guardian, co-founder of data visualisation and digital journalism company Kiln, and a visiting researcher at the UCL Energy Institute. He helped set up the 10:10 and Cool Earth climate campaigns, and has edited many books on climate change, energy, technology and related topics. Mike Berners-Lee is a leading expert on carbon emissions, founder of Small World Consulting and author of How Bad Are Bananas? The Carbon Footprint of Everything. He is involved in sustainability research across many departments at Lancaster University and has worked on energy and emissions with a wide range of corporate and public sector organisations. 3 March 2014 in Washington DC. Burning Question summary talk opens a major World Bank conference about big thinking on energy. 20 February 2014 in Aberystwyth. Public lecture with Aberystwyth University and C3W. Video here. 28 November 2013 in London. Public talk at the Royal Society of Arts. Audio here. 21 November 2013 in Lewes. A talk organised by Transition Towns Lewes. 19 November 2013. New Left Project review by Alice Bell published. November 4 2013 in Leeds. A talk and debate organised by the Centre for Climate Change Economics and Policy at the University of Leeds. 29 September 2013 in London. Details here. 24 August 2013 in Edinburgh. Details available here. 10 July 2013 in London. Burning Question selected in the Green Alliance top reads for the summer. 10 July 2013 in London. Burning Question selected in the Nature summer books. 4 July 2013 in London. Presentation and discussion with staff from the Institute for Public Policy Research. 3 July 2013 (evening). The panel discussion will be chaired by Lord Oxburgh, advocate of climate change solutions and ex-chairman of Shell, and feature the High Commissioner of Canada. 3 July 2013 (afternoon) in Oxford. Talks for student campaigners. 25 June 2013 at Hub Islington. Tickets available here. 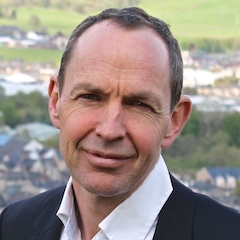 13 June 2013: Presentation at the New Economy Organisers Network, with a response from John Ashton, previously the UK's Special Representative for Climate Change. 31 May 2013: Guardian review by Peter Forbes just went live. 8 May 2013: Lunchtime seminar based on the book with staff from the Carbon Disclosure Project. 29 April 2013. An extended chat with Adam Vaughan on the Guardian's science podcast. Available here. 21 April 2013. Discussion of the book on The Monocle Weekly. Available here. 13 April 2013. A G2 cover feature based on the book. Read it here. Datasets from the book are available on request. See contact information below. For publishing, rights and publicity queries, contact Drew Jerrison (drew.jerrison@profilebooks.com) at Profile Books. Or to contact the authors directly email Duncan Clark (info@duncanclark.net) and Mike Berners-Lee (mike@sw-consulting.co.uk). You can find Duncan and Mike on Twitter at @theduncanclark and @mikebernerslee.